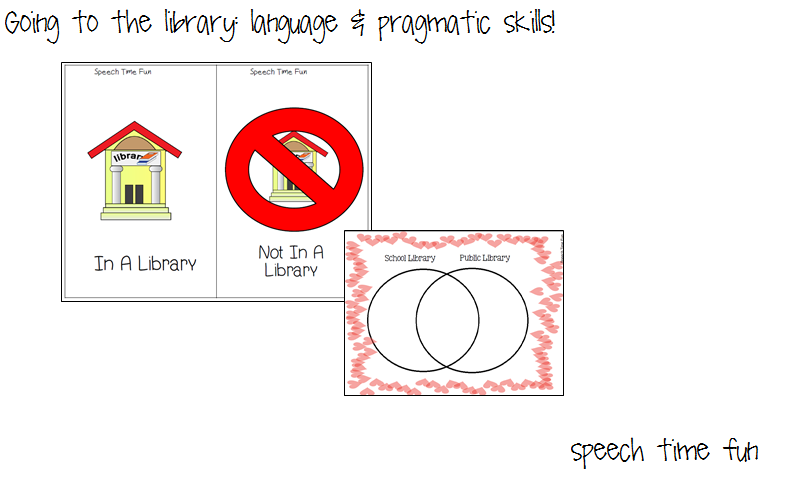 Going To A Library: Language & Pragmatic Skills! 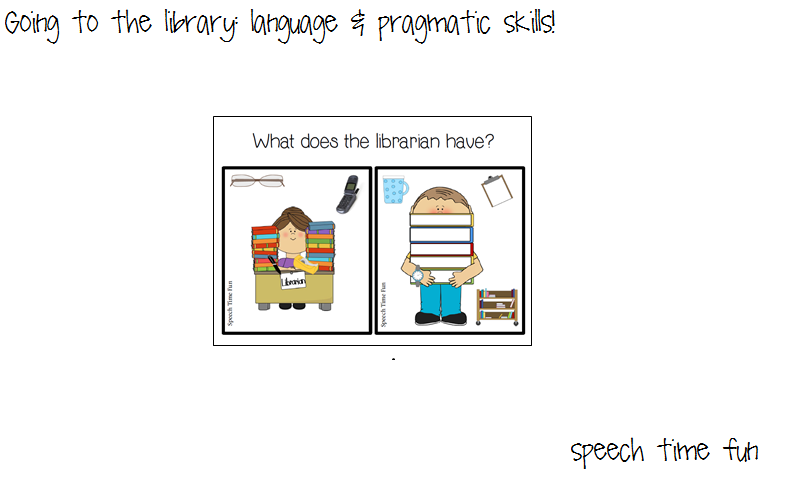 Build language and social skills with a library theme!! 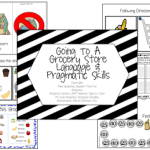 This activity follows my restaurant, grocery store, and post office activities currently in my TpT store. Like those?! You will like this one too! 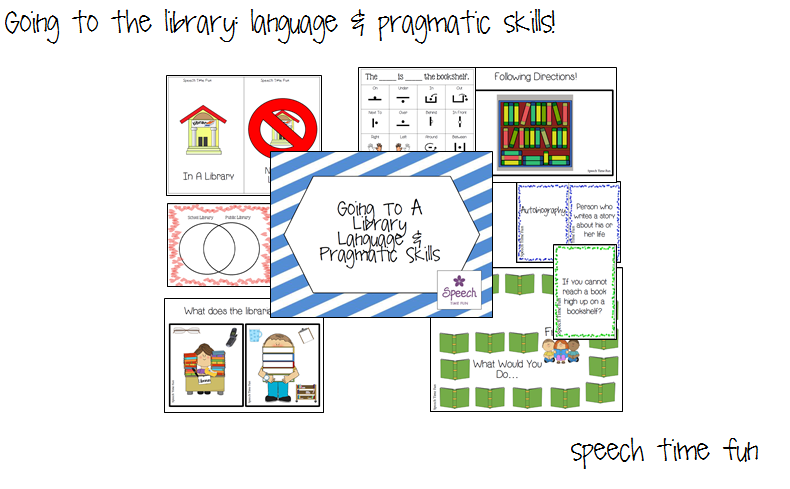 This is a great packet if you like to do life skill themes! -Sorting Items: Students can sort the pictures by whether or not they will find them in a library. -Compare/Contrast: Students will complete the Venn Diagram to compare/contrast school library vs. public library. Students will also complete a Venn Diagram to compare/contrast the internet vs. library. 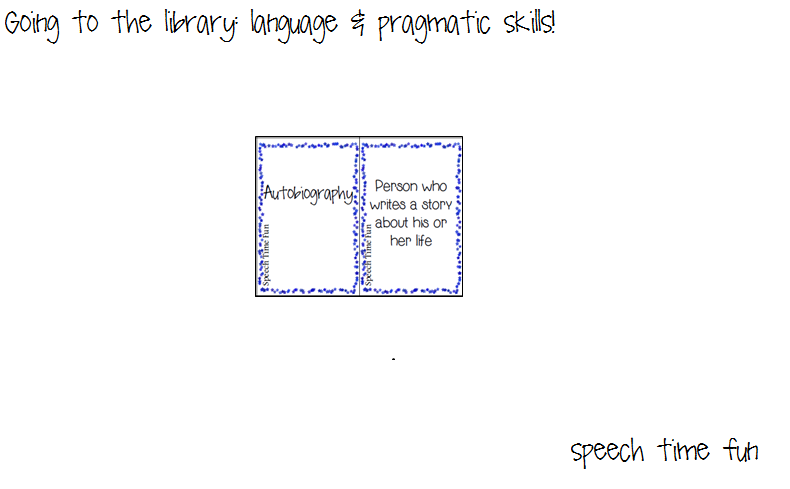 -Library Vocabulary Matching: Cards contain a vocabulary word with its definition. 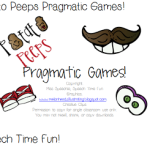 You can use these to teach vocabulary and for memory matching games to practice. A worksheet is provided to review. -Following Directions: Print and laminate the bookshelf and place it in the center. 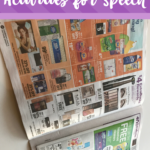 Print and laminate the library items and place them next to or around the bookshelf mat. 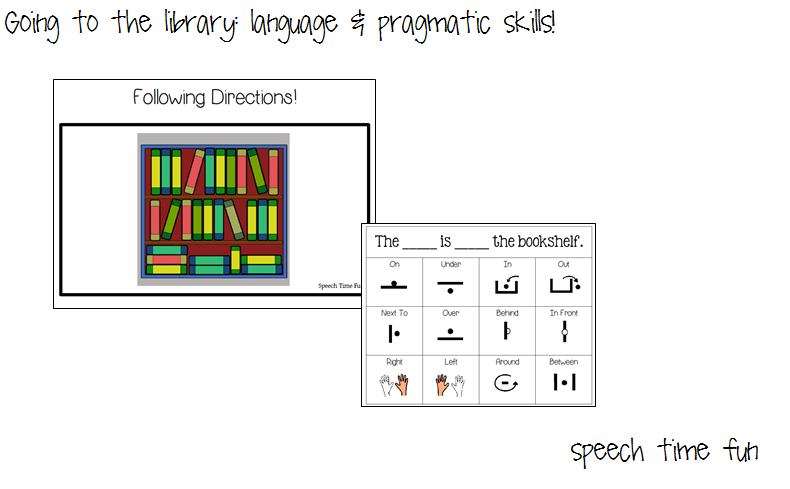 Read the direction cards to your students and let them use the mat and items to complete them. -Scenario Cards: Students can practice expressing what they would do if they are in the situations provided. A board game is provided to use as a reinforcer/motivator. -Create Your Own Library Card: Students will get to use their creativity and design their own library cards! 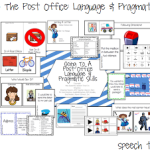 Students can share their work to promote language and conversation. -The Librarian Has: This activity can be used as a file folder activity. Print and glue onto a file folder the male and female librarians. 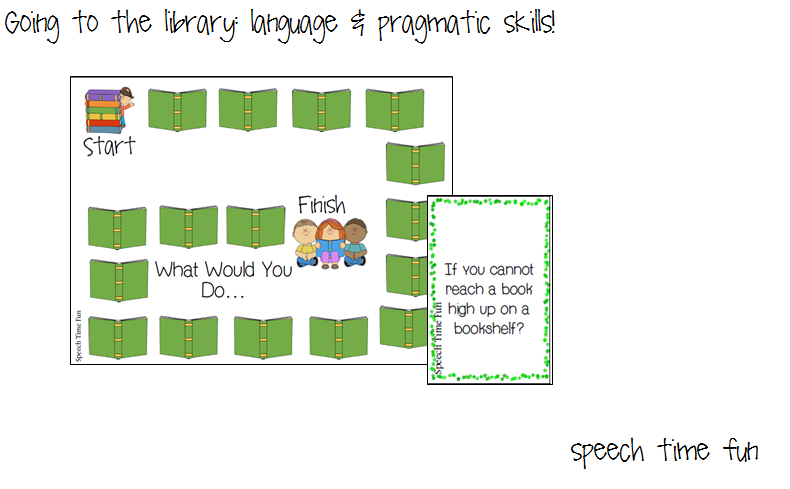 For each item card, students can use the sentence strips provided to express which one has the item. This activity can also be used to work on “who” questions, pronouns, and possessives. -Library Scavenger Hunt: If you are fortunate enough to go on a field trip to a library, use this worksheet to have students know what to look for. They can check off all the different items they locate! Who can locate more?? -Parent letter: Feel free to send this letter home to let parents know about your library theme. This will help with carryover of skills. Have You Filled A Bucket Today Companion Pack!